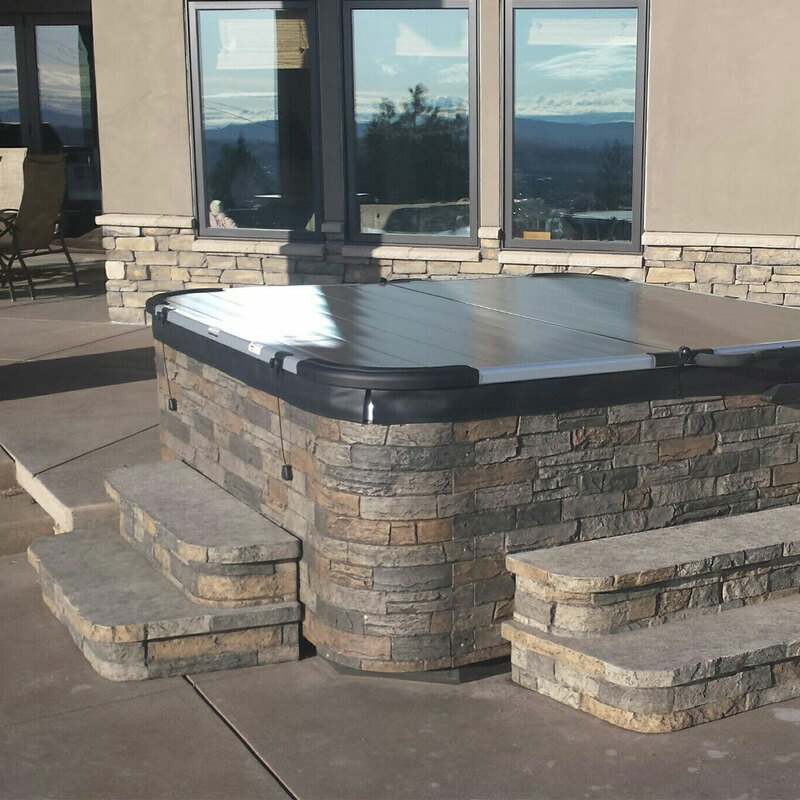 The breakthrough Smartop design brings more hot tub peace of mind than any other cover on the market. 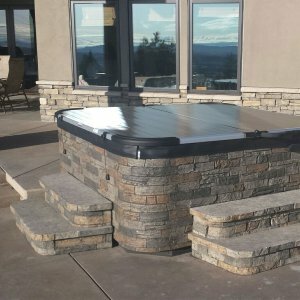 With the new Leisure Concepts’ Smartop spa cover, you’ll never see your hot tub in the same way again. And, you’ll never have to buy another vinyl cover again!! Here’s why: The USA-made product is stronger, safer, more efficient, and more long-lasting than vinyl covers. Why? The Smartop is the product of years of intense engineering and design work. It will revolutionize the way you use your hot tub. Strong. Impermeable, interlocking ribbed polymer panels are supported with aluminum to hold up to 800 pounds and shed water so it doesn’t reach the insulating foam. Withstands the harshest weather conditions with no treatment at all. Guaranteed to support a St. Bernard as well as snow and ice buildup in the worst of winters. Replacement. Never. The materials used to construct Smartop are superior to vinyl covers, which require replacement in as little as three (3) years. Smartop is designed to outlast the life of the spa. Safe. A combination padlock for the Steel Cable Cover Lock System coupled with steel cable keeps everybody out of the tub except those you want. Smartop users treasure the peace of mind for their family’s safety, for vacation homes and rental cabins. Easy. An Integrated Hydraulic Cover Lifter makes opening the spa effortless. Simply fold and enter. Climb in & fold back as you enter. So light & easy on your back & arms. You won’t miss that old vinyl cover that weighs 300lbs. You’ll use your hot tub more often with Smartop. Economical. One of Smartop’s superior features over vinyl covers is its ability to maintain optimal heat retention throughout its life cycle due to its zero-water retention design. In addition to keeping water out, the Smartop has a Thermal Super Seal Gasket that prevents heat loss. Beautiful.The advanced technology Smartop comes in Walnut/Teak, Redwood, Brown, Cordovan, Espresso, Portobello, Coastal Gray, or Black. You’ll find a color to match or complement your hot tub landscape. Upkeep. A snap. Cleaning has never been so easy. Spray with a non-abrasive household cleaner and wipe off. The only cleaning needed is to remove dust or tree debris. Retains its good looks for years. Your Hot Spring Spa experience can’t be topped. But your Hot Spring Spa can be covered with the best hot tub cover. Then come see the Smartop for yourself in all of our Olympic Hot Tub stores for yourself.